IT’S HERE! 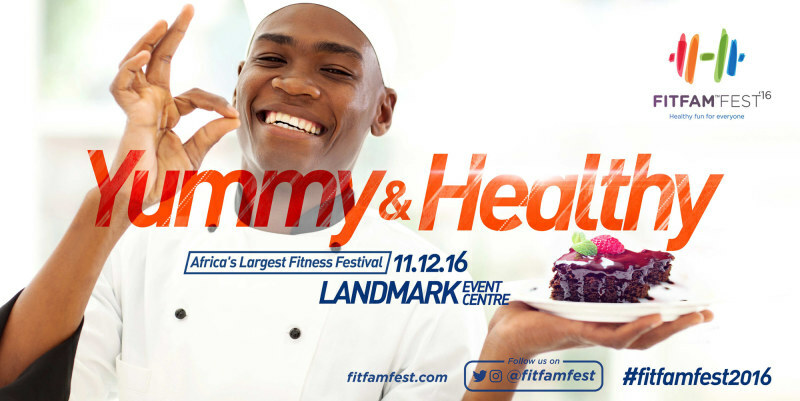 The first of its kind; a fitness fun festival for family, friends, health freaks, foodies and fitness enthusiasts. 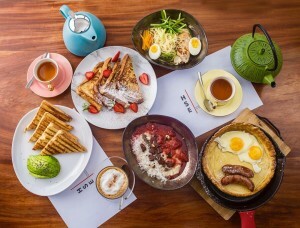 There is will be something for everyone! 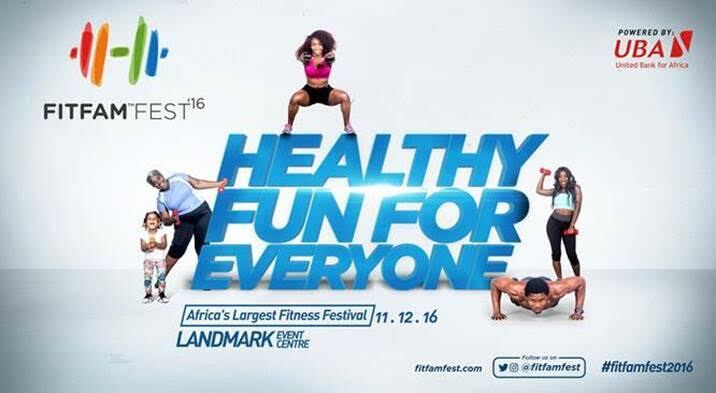 FitFam™ Fest will be hosting the largest African comprehensive fitness festival on the 11th of December 2016, at the Landmark Event Centre, Victoria Island Lagos. The festival is bringing this holistic campaign to Lagos, and it would be the first of its kind. It is themed “Healthy Fun for Everyone”. It is going to be a celebration of fitness and wellness attracting men, women and children of all ages. 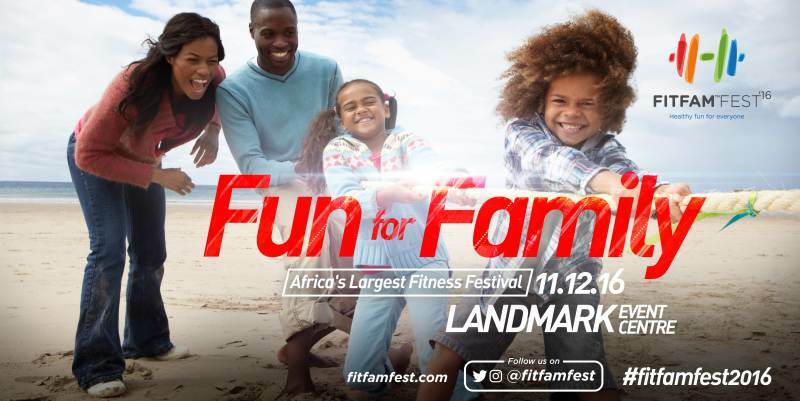 Top notch trainers and fitness enthusiasts will converge in one place to throw out an array of fitness and beauty activities that would make Lagos the fitness capital of Africa. This well thought out event will gather over 7,000 fitness pundits and fans from different parts of the world, and also include International and local fitness celebrities, who will be readily available to share their experiences and wealth of knowledge regarding the ever-growing fitness industry. The Landmark Event Centre will for the first time be used to its full capacity, where activities and games will be held inside the centre, at the car park and the waterfront area. For its first edition, FitFam™ Fest will have a showcase of 50+ Healthy Food vendors, 50+ Fitness Exhibitors, 20+ Fitness Events, 10+ Fitness and Wellness speakers, 50+ Fitness and Wellness Conference sessions and 5 Nutrition Chefs at the FitFam Nutrition Masterclass. The Festival will have an assortment of gears, kits, apparatus and equipment to demonstrate various physical activities. 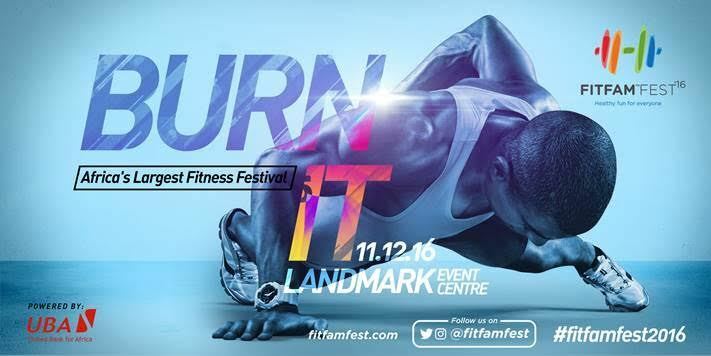 The activities will include Live Product Launch and Demonstrations on Stage, FitFam Assault Obstacle Course, FitFam Strongman Car Pulling competition, Strength and Agility Training classes, Health checks, Fitness and Wellness Conference sessions, VIP After party, Mr. FitFam 2016 and Miss FitFam 2016 competitions, FitFam Ultimate Frisbee, Pickup games and more. The would also be something for the kids: a Kids Arena where age appropriate equipment and games will be available. 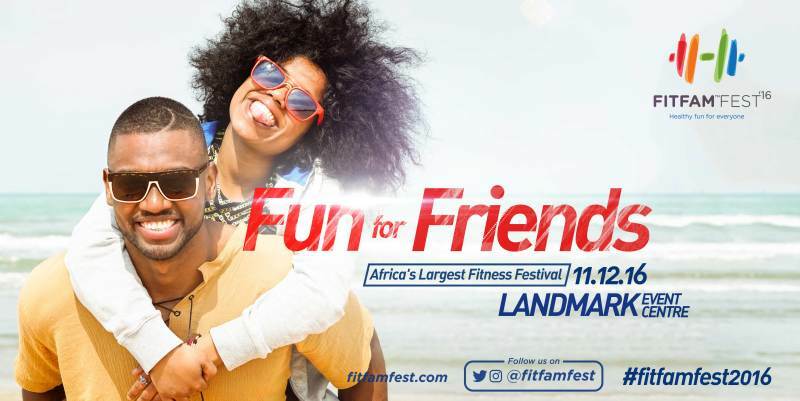 Being a part of the Fitfam Fest is your opportunity to meet with consumers of all things Fitness, Fitness enthusiasts and industry professionals. A chance to reach the lucrative fitness market, expand your personal network and build meaningful business relationships that will affect your bottom line positively! Get ready to have a lot of fun as you start your “Journey to Fitness”! For media enquiry, please contact tunrayo@bobbytaylorcompany.com.